A few weeks ago I posted about a Charity Quilt Challenge on the Longarm University website. Great News!! The photos of your charity quilts have been coming in. The quilts – and the quilting – are wonderful!!! If you would like to enter your charity quilt into this challenge, send a photo of your quilt as an email attachment along with your name, state and the charity. The challenge runs until the end of August. 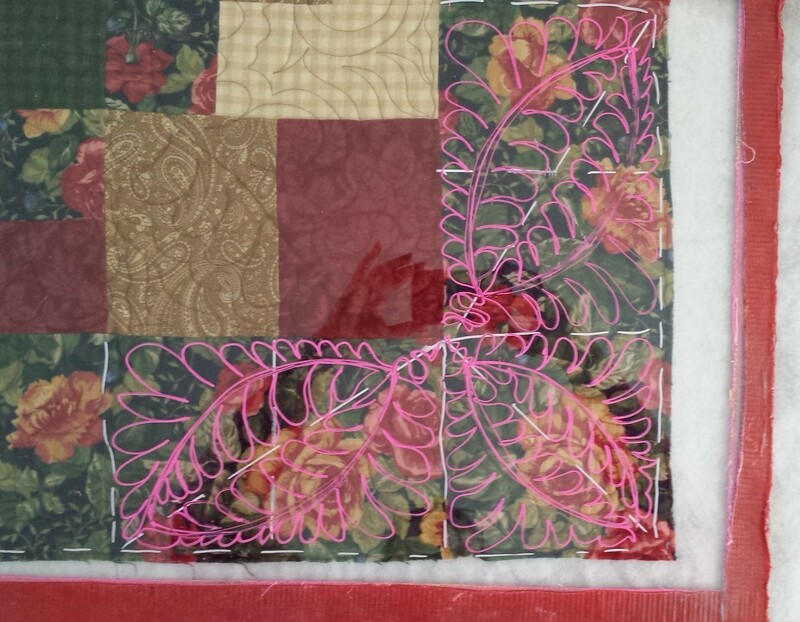 If you don’t have a quick and easy piecing pattern for a charity quilt, I have one posted on the Longarm U website. I have even included a free video tutorial on tips to make this pattern even easier to construct. All quilters who enter have a chance to win a $50 Gift Certificate from Longarm University / Longarm Classroom. Quilters are the BEST people in the world! With everything that has happened in my life the last year, I am determined to make several quilts this summer and donate them to charity organizations. I will donate some quilts to American Hero Quilts (quilts are donated to wounded service people here in the Northwest and in Afghanistan) and also to the charities that work in the hospital where I had my hip replacement surgeries. I also have some really cute cat fabric. I would like to make, then donate, a quilt to a local cat rescue organization. (I hope that they would use the quilt as a fund raiser.) And this weekend I will be working on a quilt (or two) to donate to the Oklahoma tornado victims. When I donate quilts I give the quilt with an open heart and no strings attached. I hope that the organization appreciates the quilt and will use it in their best interest. You may not have a lot of $$ to donate to a charity, but, as a quilter, you have the skills and the stash to make a quilt or two or three to donate. You may have a quilt top (or two) that is completed and just needs to be quilted. Here is my challenge to you – this summer, make a quilt or two and donate it to a charity of your choice. This could be a UFO (un-finished object) a WIP (work in progress) or maybe even a PIG (project in a grocery sack!) You can even make a quilt specifically for this challenge. If you finish some quilts (you didn’t piece the quilt but you did quilt it) for any charity organizations, they are included in this challenge. Take a photo of the quilt(s) and send it to me at longarmu@aol.com by July 31. Include your name and the charity you are donating the quilt(s) to. I will post your photo on a separate “Charity Challenge” page on the Longarm U website. To view this page Click Here Let’s see how many quilts we can make! After July 31 there will be a drawing from all the participants for a $50 Longarm U / Longarm Classroom Gift Certificate. Let’s get going and “get ‘er done!” and make a difference in someone’s life. PS – Please feel free to pass this post along to your friends and anyone you think would be interested in this challenge.